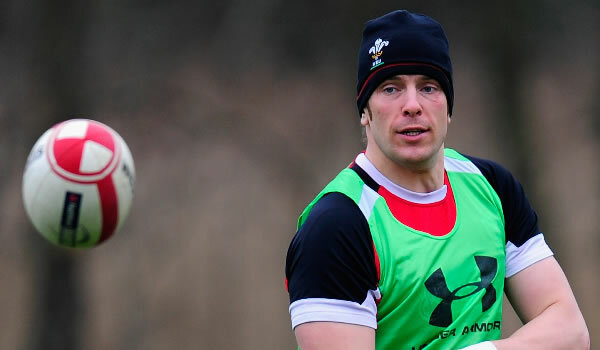 Wales lock Alun Wyn Jones says that it was “a special moment” when he found out he would captain the British and Irish Lions but says his performance on the field will be more important. Jones, one of a record-equalling 10 Welshmen in the starting fifteen, takes over as a surprise choice after Irish veteran centre Brian O’Driscoll – seen by most pundits as favourite to replace the injured Sam Warburton – was dropped by coach Warren Gatland. The Ospreys captain has led Wales just once during a 72-Test career, successfully, against Italy in the 2009 Six Nations Championship. On Saturday in Sydney he will head the British and Irish team as they look to end their 125th anniversary tour on a high by clinching their first series victory since 1997 in South Africa. “Hopefully, I’ve been selected for the way I play and not necessarily the way I lead, it’s as simple as that,” said the giant second-rower. “To be selected in the position I am for the final Test is a pretty special moment for me, but obviously there’s still a job to do,” said Jones, who will become the 10th Welshman to lead the Lions in a Test. On his limited experience as a captain, Jones said that he was open to seeking counsel from fellow senior members of the tour party. “There’s always room for advice,” he said. “But I’ve done quite a lot with the Ospreys this season and once with Wales in the past during the Six Nations. I’m fortunate to have been captained by some great men as well. The Lions won the first Test 23-21 in Brisbane and the Wallabies levelled the series with a 16-15 triumph in Melbourne last Saturday.